One of the hallmarks of successful serial entrepreneurs is that they never stop searching for opportunities. Once they plunge into a business and are doing fine in it and are able to systematize and automate it, they launch and nurture another one. mostly related to the first. To live the life you’ve always dreamed of, you may need to go into multiple businesses. This is because a single business line may not bring you the income you desire, challenge you sufficiently or allow for the rate of scaling you envision. As a bulk SMS reseller, you need to keep brainstorming for ideas and searching for more business opportunities. Even if your SMS business is doing fine for now, it won’t hurt if you have additional streams of income. Besides, some unforeseen factors may cause your SMS business to falter. When this happens, you won’t have much problems if there are other businesses to fall back upon. One of the best ways to diversify as an entrepreneur is to tap into opportunities that are closely related to your business. As a bulk SMS reseller, you should consider tapping into other web-based businesses, since your business falls more under the web-based business category. Bulk SMS is one of the best media by which businesses can market their products to prospective customers. Similarly, no other medium trumps SMS as the best tool for election campaigns. To ensure that they reach recipients within a target geographical location, businesses or politicians will need to get the database of all phone numbers used within that locality. If you have some website design skills, you can convert these into additional income. Nigerian individuals and businesses are becoming more aware of the need to establish an online presence. This explains the increasing demand for website design and development services. So, you will have a large market to serve. If you do not have website design skills, you can also partner with a reputable web design firm to provide this service for you. Another side business you can venture into is web hosting. This involves selling disk space and bandwidth to website and blog owners. For a start, you can buy a reseller package from a reputable and solid hosting company like this one and then sell smaller portions of hosting space and bandwidth to customers. After some time, you can upgrade to having your own dedicated servers. Establishing an online presence starts with registering a domain. This precedes the process of setting up a website or blog. You can make additional income by starting a domain registration service as a side business. This way, you will cater to individuals, businesses, website developers, bloggers, and other web asset owners. 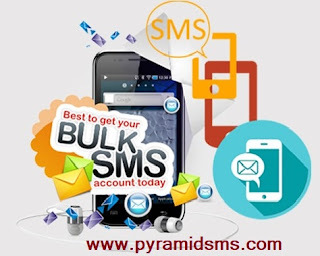 While there are many other side businesses that you can start as a bulk SMS reseller, you should start with these ones, since they won’t cause you to lose focus on your bulk SMS site. You can still expand your bulk SMS site to accommodate them rather than create new websites for them. In the future we would talk about others such as Shortcode and Voice SMS. You should never stop prospecting for opportunities, as this is the shortest route to success as an entrepreneur. MsgClub Thanks for sharing it ! !